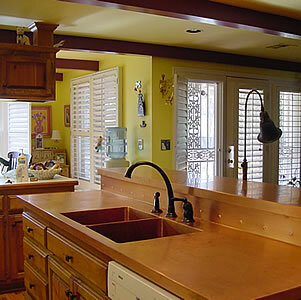 CJ Design has been manufacturing Copper Countertops for more than 30 years now. 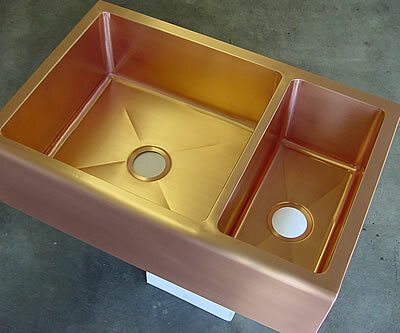 We use only the best materials to provide you with top quality Copper Countertop and Copper Sink that will last you and your family a lifetime. 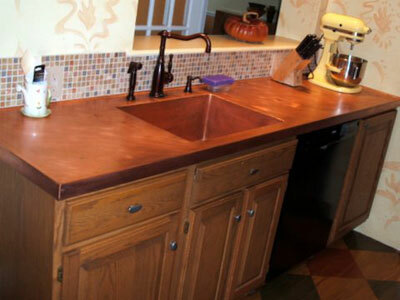 Unsealed copper countertops provide a finish that will react with water, air and other environmental agents (patina). 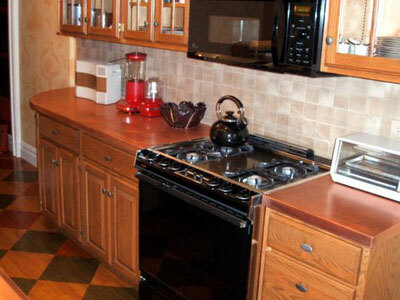 That is one of the top charming properties of having a copper countertop installed. Other options include the ability to be polished, buffed and even protected with wax products to prevent heavy tarnishing or discoloration. 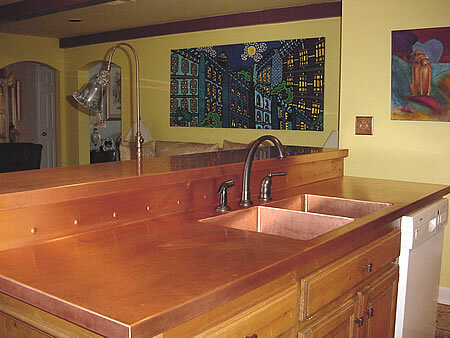 All copper countertops can also be fabricated with custom integral back splashes at whatever height you may want or need. 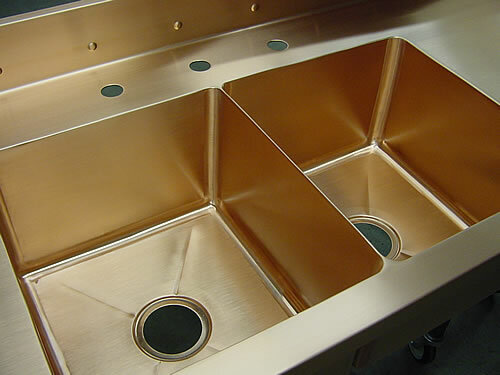 All copper countertops can be built with integral Copper Sinks that are custom built to the customer’s over all size, depth and with one or more compartments. CJ Design also offers Stainless Steel Sinks, Zinc Sinks, Pot Racks and Architectural Metal Designs!